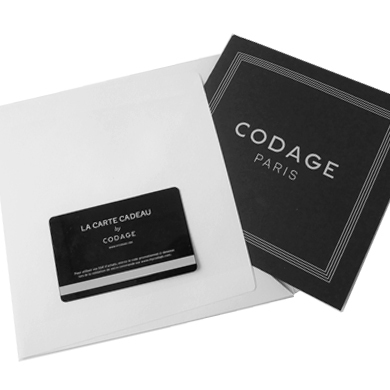 The GIFT CARD CODAGE is the PERFECT present, with which you are certain to please! 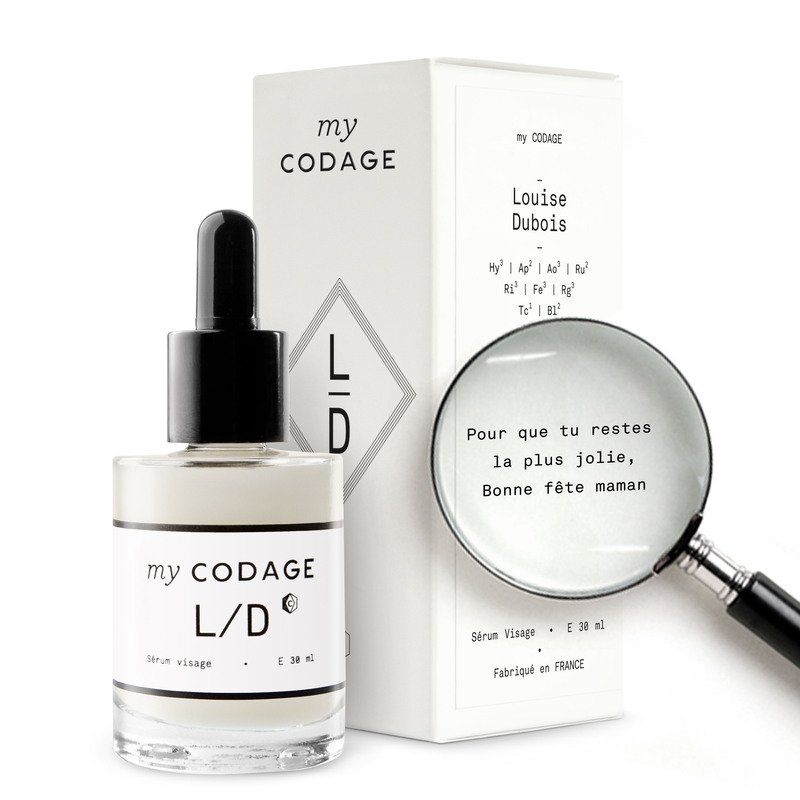 Welcome in myLAB, the virtual CODAGE laboratory which lets you create freely the formula of the custom-made skincare. Customize your products’ labels and packs, with the initials and personal message you want. * You can also customize made-to-measure and generic products by filling the field "COMMENT" once your products are placed in the cart and just before placing the order (except for serum No. 3 and No. 6 in 30 ml, CODAGE Nuit, CODAGE Jour and Micellar Water). * You can also customize custom-made products and generic by filling the field "COMMENT" once your products are put on the cart and just before order online (except serum No. 3 and No. 6 in 30 ml CODAGE Nuit, CODAGE Jour and Micellar Water).